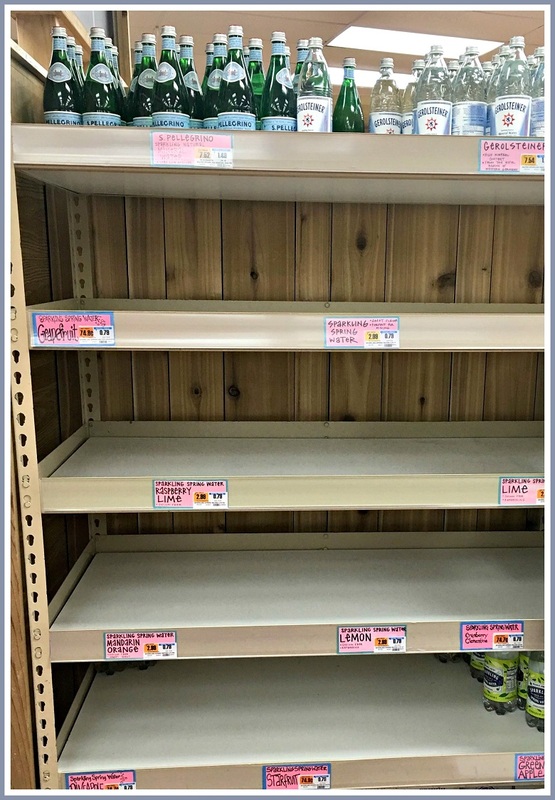 It was panic time yesterday afternoon, as Westport’s 3rd nor’easter in less than 2 weeks got ready to roll. 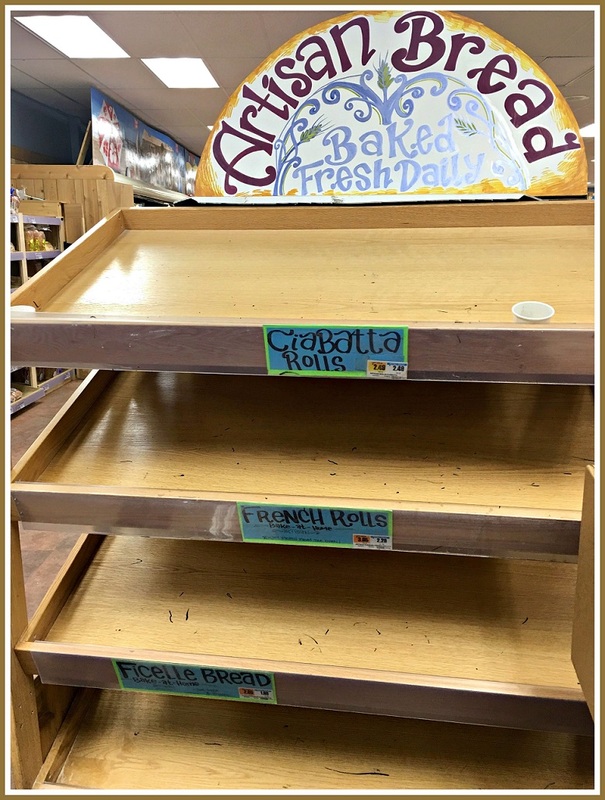 The scene at Trader Joe’s was repeated all over town. But he forgot to include bacon. This entry was posted in Local business, Pic of the Day, Weather and tagged Seinfeld milk bread eggs. Bookmark the permalink. 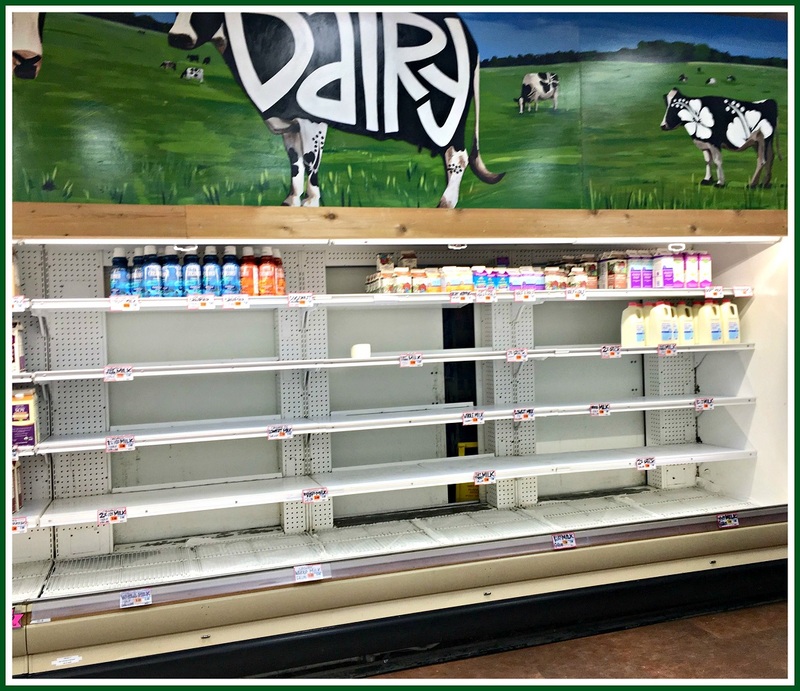 Imagine receiving a year’s worth of groceries once a year, hoping the fresh water supply holds, that enough ice can maintain the food chain… Funny that those people are far happier than you. 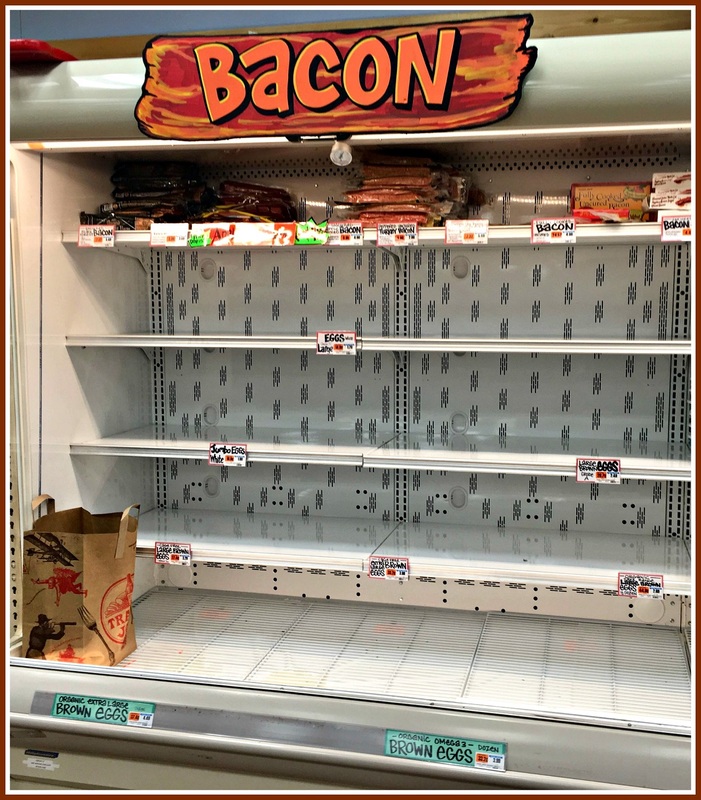 We have come so far as a civilization, heavens forbid, could you imagine being home and trapped away from a grocery store for 1 or 2 or even 3 days and run out of bacon! Torture! Cruel and unusual punishment! a sad obsessed fact of today’s culture.